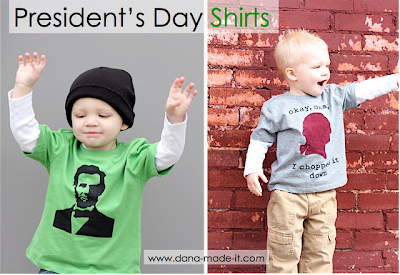 Tangled and True: president day tees. Oh my, I love these shirts. I will definitely be making one for Finn! Check out Dana's tutorials here. Adorable. Thanks for sharing the link!